Celebrations in Anguilla mostly have religious character, but there are some secular holidays, that are observed nationwide. Anguilla Day, celebrated on May 30, is one of these holidays. Colonization of Anguilla by English settlers began in 1650 from the island of Saint Kitts. In 1824 the British gave Saint Kitts and Nevis full internal autonomy, but Anguilla was incorporated into a new unified dependency, called Saint Christopher-Nevis-Anguilla. The inhabitants of Anguilla were not satisfied with the British policy. They rose a rebellion on May 30, 1967 and marched on the Police Headquarters on Saint Kitts demanding disassociation of Anguilla from the union. The second rebellion began in 1969 and followed by a brief period of a self-declared independent republic. British authority was totally restored in 1971 and in 1980 Anguilla gained independence from Saint Kitts and Nevis. 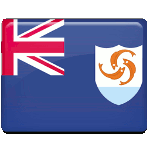 Anguilla got status of a separate British colony and later became a British overseas territory. Anguilla Day is a day of joyful celebration. The most interesting event is boat race around the island. Traditional parade also attracts public attention.